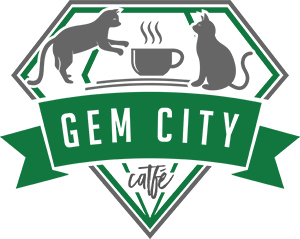 The goal of Gem City Catfé is to foster positive interactions between cats and people, in an expectation free environment. We are a cafe space with free WIFI serving fair-trade coffee, tea, and delicious bakery items along with wine and cocktails. Our fully separate cat lounge is home to 18 adoptable, feline friends from our 501(c)(3) non-profit rescue partner, Gem City Kitties. We also have an art gallery upstairs, which serves as extra seating for co-working or for activities like classes, meetings, and workshops. We have 18 rescue cats living in the cat lounge! Come to say hi and help socialize or adopt if you meet the right friend! Our upstairs art gallery features local Dayton artists with large tables, cozy chairs, and plenty of seating for working or meeting friends! The cat lounge is fully separate from the cafe side by two doors. Watch the cats play through the glass if you're in a hurry or have a coffee on the cafe side if you have allergies! 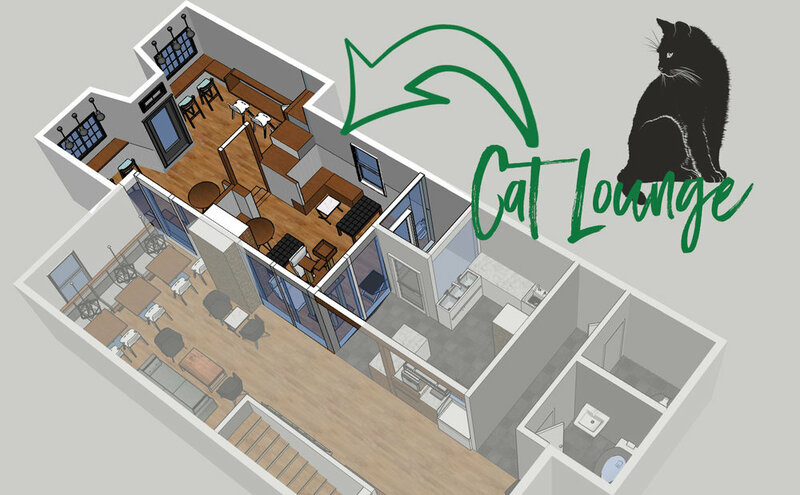 To visit the cats, we suggest reservations, but we do accept walk-ins if we have space! Read more about rates, waivers, and our membership by clicking the button below! 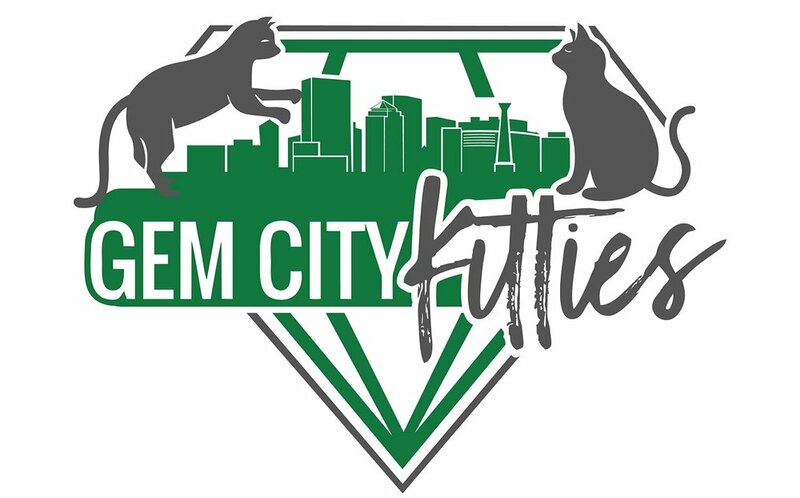 Gem City Kitties is a 501(c)(3) non-profit created to partner with Dayton's Cat Café, Gem City Catfé. Together, both organizations work to improve the lives of cats in Dayton. We collaborate with local rescues and shelters to help find homes for cats in need. Join us for a mimosa brunch with Son of a Biscuit! Adult Easter scavenger hunt in St. Anne’s Hill! The cats are waiting for you! While we do accept walk-ins, reservations are strongly encouraged to make sure there is space available in the cat lounge. 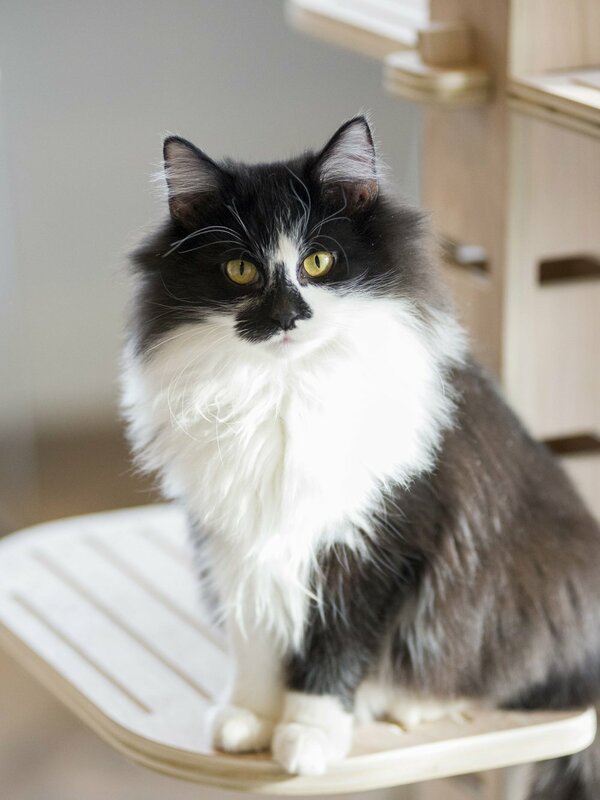 We only allow 12 people in the cat lounge at a time to ensure a stress free environment for our friendly felines. We're located at 1513 E 5th St in St. Anne's Hill Historic District, just east of the Oregon District.